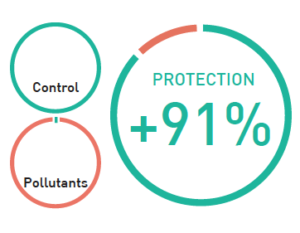 After conducting a meta-analysis of skin samples (n>800), OxiProteomics has developed a novel Efficacy Score for the evaluation of dermo-cosmetic ingredients or finished products and a Protein Quality Index. This Index provides a quantitative ranking of skin Proteome Quality: from young healthy proteins (in green) up to oxidatively damaged proteins (red), a target to battle for efficient dermo-cosmetic treatments. 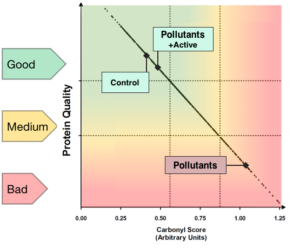 Supported by a wide dynamic range and high sensibility, the Proteome Quality Index Index provides a solid benchmark for determining a reliable Efficacy Score of performance for a novel active or finished product.